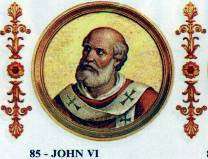 Pope John VI (Latin: Ioannes VI; 655 – 11 January 705) was Pope from 30 October 701 to his death in 705. John VI was a Greek from Ephesus who reigned during the Byzantine Papacy. 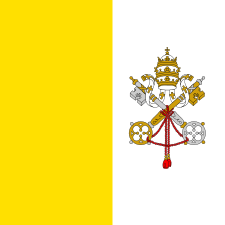 His papacy was noted for military and political breakthroughs on the Italian peninsula. 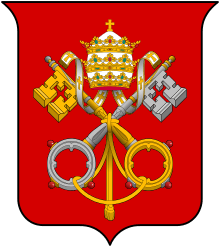 He succeeded to the papal chair two months after the death of Pope Sergius I, and his election occurred after a vacancy of less than seven weeks. He was succeeded by Pope John VII after a vacancy of less than two months. The body of the pope is buried in Old St. Peter's Basilica. Aside from this, he also succeeded in inducing Gisulf, the Lombard duke of Benevento, to withdraw from the territories of the empire, through tactics of persuasion and bribery. According to some sources, he "single-handedly convinced the Lombard duke Gisulf of Benevento to withdraw his forces and return home" after the duke had devastated the neighboring Campanian countryside and constructed an encampment within sight of the city walls of Rome. In 704, after the 70-year-old Saint Wilfrid of York was expelled (after several other expulsions) from his episcopal see, he went to Rome and pleaded his case "before the apostolic Pope John [VI]", three years into the Greek's pontificate. Wilfrid had visited Rome in 654 and 679 and witnessed the progressive transformation of the Church administration to a Greek-dominated hierarchy. Because of this, John VI convened a synod of Greek-speaking bishops to hear Wilfrid's cause, a linguistic hurdle that much perturbed Wilfrid. Nonetheless, the synod exonerated Wilfrid, restored him to his see, which he occupied until his death in 709, and sent him back to England with letters for King Æthelred of Mercia for papal mandates to be implemented. ↑ Herbermann, Charles, ed. (1913). 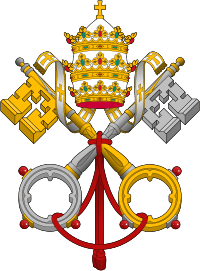 "Pope John VI". Catholic Encyclopedia. New York: Robert Appleton Company. 1 2 Ekonomou, 2007, p. 246. 1 2 Chisholm, Hugh, ed. (1911). "John VI". Encyclopædia Britannica. 15 (11th ed.). Cambridge University Press. p. 434. 1 2 3 Ekonomou, 2007, p. 248. 1 2 3 4 Ekonomou, 2007, p. 245.